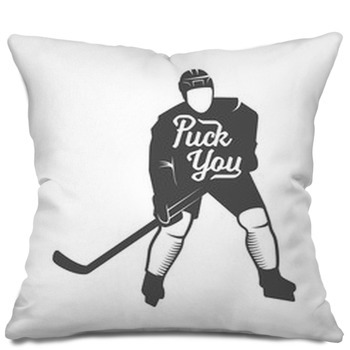 Few sports have the intensity and ceaseless action of the favorite sport of the north, hockey. 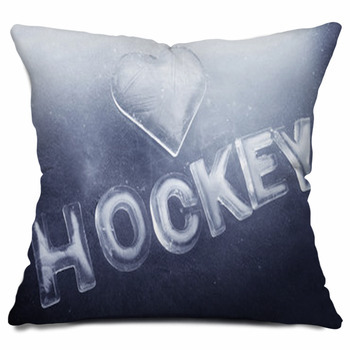 Decorate your home with your passion for this unique sport with our hockey pillows. With few breaks and almost no moments of rest, hockey players compete like no others. Flying over chilly ice into dramatic collisions and graceful maneuvers, hockey players perform incredible feats of athleticism. For this reason, nothing is like watching a well-played match. 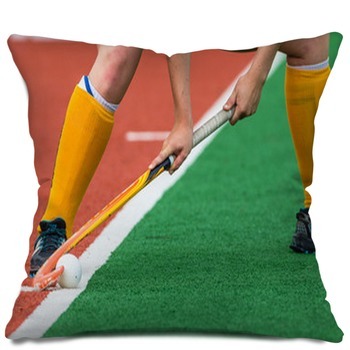 You will love our decorative and king size pillows if you love playing this incredible sport or merely love watching a game. 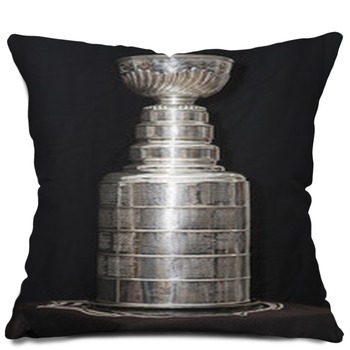 Our pillow cases and shams will remind you of all the glory of when your team makes that perfectly scored goal. 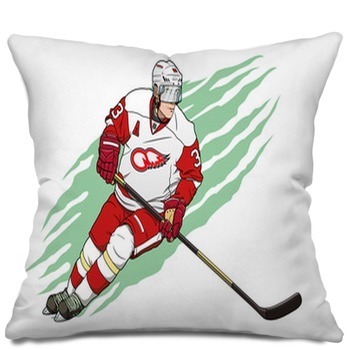 These custom pillows show everything from hockey inspired artwork to real detailed photos of moments of intense play. 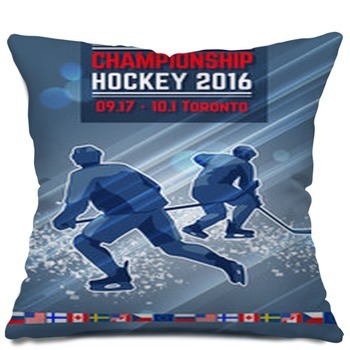 One euro sham shows a perfect breakaway towards the opposing goal as the forward races across the icy rink. Another shows a goalie making a quick save as the black puck whistles through the air. Illustrations show all the equipment used in this full contact sport. 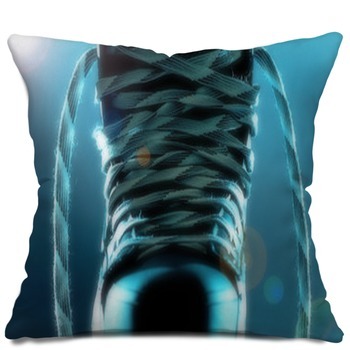 Decorative and king size pillows show drawings of well-made skates and taped hockey sticks that have grown rugged with used. For those of you who love the dangerous sport of street hockey, we have illustrations and photos showing this game as well. 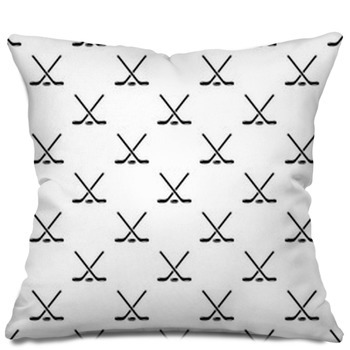 Our personalized pillow cases and personalized bedding make excellent gifts for hockey players you know. 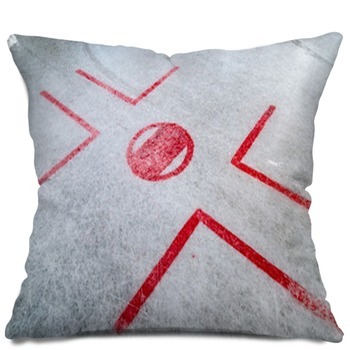 Add their name or team logo with our custom text option to give them something truly special. Young children and teenagers will be reminded to practice hard and often when they are surrounded by our attractive hockey products. 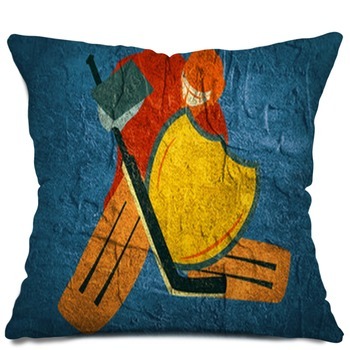 You can match our hockey pillows with our hockey bedding, wall art and hockey themed shower curtains and bathroom decor. 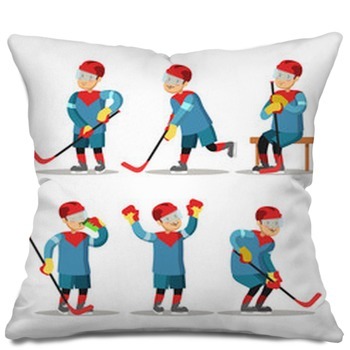 You can even use our hockey fabric and banners to create the perfect party decorations for your entire hockey team.